Glass has a long list of appealing characteristics, which is why it’s such a desirable table top material. Easy maintenance, a look that never goes out of style and it’s not vulnerable to damage and decay from moisture, dust and other unavoidable environmental factors. But glass is glass, which means it can break, leaving you in the search for a glass table top replacement in Hoppers Crossing and the surrounding areas of Melbourne. When looking for a new piece of glass to replace your former table top, which type of glass should you use so you aren’t shopping for a replacement again in a few months? How much will a glass table top replacement cost? Can you buy one that will fit your existing table base? Most importantly, what can be done to prevent your table top from breaking again? With the right piece of glass, custom-cut and finished and properly taken care of, you can enjoy a pristine glass table for years to come, with no second replacement in your future. Here’s a look at what you should look for in a quality glass table top replacement and how you can keep your new glass in mint condition for decades. Glass Shape – Will you need a round glass table top replacement? A rectangle piece of glass for a dining room table or another custom shape? The shape of your glass will impact the cost and how long it will take to make your replacement. In general, a rectangular glass table top replacement will cost less than a round piece of glass or any other custom shape. The higher expense is because custom shapes require the use of a computer-driven machine, called a CNC machine, to ensure an accurate cut and finish. Glass Size – If you aren’t sure what the size of your old glass table top is, it’s worth having a professional glazier take measurements for you to determine the right size for your replacement. Getting to-the-millimetre precision is important to ensure your replacement glass will balance or sit on your table well – and that it will look attractive. At Economy Glass, we’ll be happy to come out to your home to take accurate measurements for you, giving you one less thing to worry about. 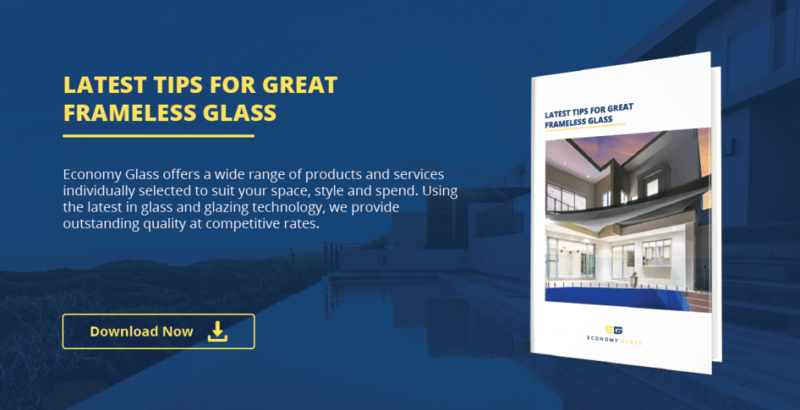 Glass Type – You’re probably wondering if your glass would have broken if you had originally opted for toughened safety glass. It may still have broken, although it would have had more of a chance of staying intact. Toughened glass, also known as tempered glass, is about four times stronger than standard glass. That’s why toughened glass is often used for outdoor glass tables and for table tops that aren’t set on a flat surface but rather are balanced on a base. For example, a tempered glass patio table top replacement will cost more than a standard patio glass table, but it may be well worth it. Once you have your new glass, the last thing you want is for it to break again. By knowing what is likely to cause your table to crack into pieces, you can take a few precautionary measures. Then hopefully, you’ll never need a glass table top replacement again. One reason for a broken table is high temperatures. Glass is a good conductor of heat, so if you set a steaming pot of soup directly on your dining room table glass top, you can damage the timber surface underneath. Second, the high temperature may be enough to cause your glass table top to crack. To prevent this from happening, always put a pot holder or other protective material in between your hot dishes and your glass table. 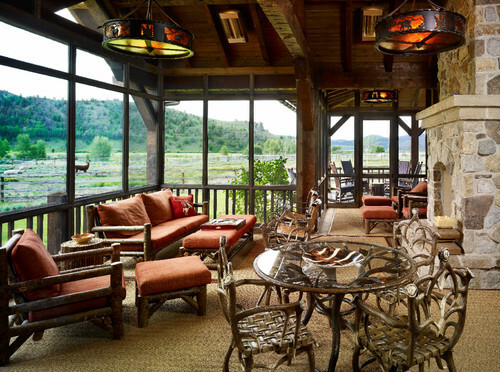 Glass is the modern day table top of choice for patio furniture. 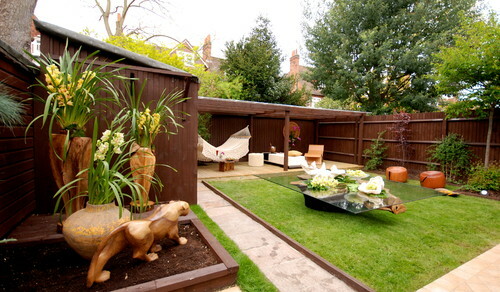 Its organic, yet sophisticated vibe is perfect for luxury outdoor living. However, most homeowners don’t realise that a big piece of glass with a large surface area, like a table top, becomes nothing but a giant sail in high winds. Therefore, if your outdoor glass table top is not secured firmly or sheltered during those windy months (along with your other patio furniture), the wind can knock it off its base, causing it to break. The other threat to your glass table top is cleaning. Sometimes when people remove their table top to clean underneath it or move the table to clean the area around the table, the glass can fall or knock against another hard service. When cleaning, be careful. If you need to move your glass table top for any reason and you aren’t sure if you can relocate it without causing damage, call your local glazier for help. No one wants their beautiful glass table top to break. But, sometimes even with your best efforts, the unexpected happens. Not to worry. You can have replacement glass sized, cut and finished to have it look exactly like your old one. Or, you can even have it made to suit a new custom look, such as a different bevelled edge, or opt for a tempered glass table top this time to make damage that much less likely. And with care, and a quick call to your local glass company if you ever need help moving it around, this will be the last glass table top replacement you ever buy.